I have been around some great men of God and two of them were Adrian Rogers and Robert G. Lee. I grew up listening to sermons by Adrian Rogers who was the longtime pastor of Bellevue Church in Memphis. In fact, since 1927 only four pastors have led Bellevue and I have had the opportunity to hear all four speak (Robert G. Lee [1927-1960], Ramsey Pollard [1960-1972], Adrian Rogers [1972-2005], Steve Gaines [2005- present]). Above is the complete sermon and below is a portion of the transcript. Dr. Lee originally published the following message in 1926. It is said that he developed it following the suggestion of a deacon at a prayer meeting in 1919 and that he preached it at least once a year at his home church. All total, it is related that he preached the message 1,275 times. Dr. Robert G. Lee was the pastor of Bellevue Baptist Church in Memphis, Tennessee for thirty-two years. During his lifetime he was a strong leader in the Southern Baptist Convention, known as a preacher’s preacher, and was highly respected among his peers. This sermon has been accepted as a classic by all that have heard and read it, and through its message, the Lord still speaks to mankind. We at Carl Graham Ministries hope you get a blessing from this message written by the prince of preachers. I have said for years that the USA should not pay for the defense Germany and Japan. Yes, there were many reasons that was true in the past, but now they are two of our biggest friends and trading partners and they are on our side. Why should we limit their military now? …the U.S. government could cut military spending in half and still spend more than our next two potential rivals, combined. Our European and East Asian allies are consumers of the security provided by the U.S. military, and all Americans are the third party payers. As my colleague Ben Friedman likes to say, we agree to defend our allies, and they agree to let us. We shouldn’t blame them for under-providing for their own defense; it’s our fault for agreeing to do it for them. There is a difference between military spending and defense spending. The Constitution provides for a military to defend the U.S—not to democratize the world. One would hope that presidential candidates would consider America’s commitments overseas very seriously before endorsing those commitments. Cato scholars have been out in front for years making the case for a principled, constitutional view of “defense” that does not include defending others who can and should defend themselves. If we adopted a strategy of restraint, we could responsibly make significant cuts in military spending, deliver the savings to American taxpayers, and remain the safest and most secure country on the planet. Yesterday, Tim Pawlenty took the opposite tack. He argued that the U.S. military should continue to serve as the world’s policeman/armed social worker, allow other countries to free ride, and require U.S. taxpayers to foot the bill. Although that might be popular elsewhere in Washington, I can’t imagine it will sell in Cedar Rapids, Iowa, or Manchester, New Hampshire. As far as I know they have never done an interview together. Therefore, I have included separate interviews that they have done below and I have some links to past posts I have done on them too. Originally broadcast on the 24 November, 2010, on Channel Nine Australia as part of the ‘Warnie’ television series. This is part one of an interview with Chris Martin. Actress and singer Gwyneth Paltrow shares some recipes with Chris Wragge from her new cookbook, “My Father’s Daughter,” including baked macaroni and cheese. Originally broadcast on the 24 November, 2010, on Channel Nine Australia as part of the ‘Warnie’ television series. This is part two of an interview with Chris Martin. Apologies for the semi-low quality. 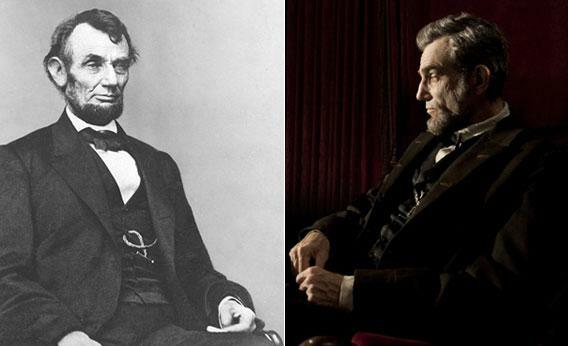 Spielberg’s film follows 56-year-old Abraham Lincoln, the 16th president of the United States, from January of 1865 until his death in April. The portrait on the left was taken in 1864. “The prudent, penniless beginner in the world, labors for wages awhile, saves a surplus with which to buy tools or land, for himself; then labors on his own account another while, and at length hires another new beginner to help him. This, say its advocates, is free labor—the just and generous, and prosperous system, which opens the way for all—gives hope to all, and energy, and progress, and improvement of condition to all.” The Collected Works of Abraham Lincoln edited by Roy P. Basler, Volume III, “Address before the Wisconsin State Agricultural Society, Milwaukee, Wisconsin” (September 30, 1859), pp. 478-479. “No country can sustain, in idleness, more than a small percentage of its numbers. The great majority must labor at something productive.” The Collected Works of Abraham Lincoln edited by Roy P. Basler, Volume III, “Address before the Wisconsin State Agricultural Society, Milwaukee, Wisconsin” (September 30, 1859), p. 479. “Labor is the true standard of value.” The Collected Works of Abraham Lincoln edited by Roy P. Basler, Volume IV, “Speech at Pittsburgh, Pennsylvania” (February 15, 1861), p. 212. “The world is agreed that labor is the source from which human wants are mainly supplied. 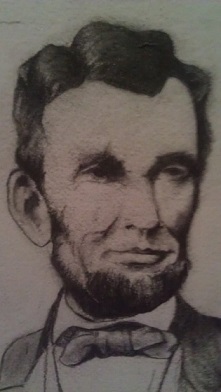 There is no dispute upon this point.” The Collected Works of Abraham Lincoln edited by Roy P. Basler, Volume III, “Address before the Wisconsin State Agricultural Society, Milwaukee, Wisconsin” (September 30, 1859), p. 477. “I am always for the man who wishes to work.” The Collected Works of Abraham Lincoln edited by Roy P. Basler, Volume VII, “Recommendation For Unidentified Man” (August 15, 1864), p. 495. “If at any time all labour should cease, and all existing provisions be equally divided among the people, at the end of a single year there could scarcely be one human being left alive—all would have perished by want of subsistence.” The Collected Works of Abraham Lincoln edited by Roy P. Basler, Volume I, “Fragments of a Tariff Discussion” (December 1, 1847), p. 415. “Labor is the great source from which nearly all, if not all, human comforts and necessities are drawn.” The Collected Works of Abraham Lincoln edited by Roy P. Basler, Volume III, “Speech at Cincinnati, Ohio” (September 17, 1859), p. 459. “Wanting to work is so rare a merit, that it should be encouraged.” The Collected Works of Abraham Lincoln edited by Roy P. Basler, Volume IV, “Letter to George D. Ramsay” (October 17, 1861), p. 556. “Beavers build houses; but they build them in nowise differently, or better now, than they did, five thousand years ago. Ants, and honey-bees, provide food for winter; but just in the same way they did, when Solomon referred the sluggard to them as patterns of prudence. Man is not the only animal who labors; but he is the only one who improves his workmanship.” The Collected Works of Abraham Lincoln edited by Roy P. Basler, Volume II, “First Lecture on Discoveries and Inventions” (April 6, 1858), p. 437. “Every man is proud of what he does well; and no man is proud of what he does not do well. With the former, his heart is in his work; and he will do twice as much of it with less fatigue. The latter performs a little imperfectly, looks at it in disgust, turns from it, and imagines himself exceedingly tired. The little he has done, comes to nothing, for want of finishing.” The Collected Works of Abraham Lincoln edited by Roy P. Basler, Volume III, “Address before the Wisconsin State Agricultural Society, Milwaukee, Wisconsin” (September 30, 1859), p. 475. “Labor is prior to, and independent of, capital. Capital is only the fruit of labor, and could never have existed if labor had not first existed. Labor is the superior of capital, and deserves much the higher consideration.” Lincoln’s First Annual Message to Congress, December 3, 1861. “Upon this subject, the habits of our whole species fall into three great classes—useful labour, useless labour and idleness. Of these the first only is meritorious; and to it all the products of labour rightfully belong; but the two latter, while they exist, are heavy pensioners upon the first, robbing it of a large portion of it’s just rights. The only remedy for this is to, as far as possible, drive useless labour and idleness out of existence.” The Collected Works of Abraham Lincoln edited by Roy P. Basler, Volume I, “Fragments of a Tariff Discussion” (December 1, 1847), p. 412. “Work, work, work, is the main thing.” The Collected Works of Abraham Lincoln edited by Roy P. Basler, Volume IV, “Letter To John M. Brockman” (September 25, 1860), p. 121. “And I am glad to know that there is a system of labor -> where the laborer can strike if he wants to! I would to God that such a system prevailed all over the world. The Collected Works of Abraham Lincoln edited by Roy P. Basler, Volume IV, “Speech at Hartford, Connecticut” (March 5, 1860), p. 7. “If you intend to go to work there is no better place than right where you are; if you do not intend to go to work, you can not get along anywhere.” The Collected Works of Abraham Lincoln edited by Roy P. Basler, Volume II, “Letter To John D. Johnston” (November 4, 1851), p. 111. “I don’t believe in a law to prevent a man from getting rich; it would do more harm than good. So while we do not propose any war upon capital, we do wish to allow the humblest man an equal chance to get rich with everybody else.” The Collected Works of Abraham Lincoln edited by Roy P. Basler, Volume IV, “Speech at New Haven, Connecticut” (March 6, 1860), p. 24. “…half finished work generally proves to be labor lost.” The Collected Works of Abraham Lincoln edited by Roy P. Basler, Volume I, “Communication to the People of Sangamon County” (March 9, 1832), p. 5. “And, inasmuch [as] most good things are produced by labour, it follows that [all] such things of right belong to those whose labour has produced them. But it has so happened in all ages of the world, that some have laboured, and others have, without labour, enjoyed a large proportion of the fruits. This is wrong, and should not continue. To [secure] to each labourer the whole product of his labour, or as nearly as possible, is a most worthy object of any good government.” The Collected Works of Abraham Lincoln edited by Roy P. Basler, Volume I, “Fragments of a Tariff Discussion” (December 1, 1847), p. 412. “…the working men are the basis of all governments, for the plain reason that they are the most numerous…” The Collected Works of Abraham Lincoln edited by Roy P. Basler, Volume IV, “Speech to Germans at Cincinnati, Ohio” (February 12, 1861), p. 202. NOTE: All page references to The Collected Works of Abraham Lincoln refer to the 1953 edition published by the Rutgers University Press, New Brunswick, New Jersey. The wonderful artwork at the top of the page is by Nathan Nash, 25, son of Bill Nash. Be sure to visit Bill’s excellent Lincoln blog here. Several good single volume sources of authentic Lincoln quotes are: (1) Recollected Words of Abraham Lincoln compiled and edited by Don E. Fehrenbacher and Virginia Fehrenbacher. (2) A Treasury of Lincoln Quotations edited by Fred Kerner. (3) Of the People, By the People, For the People and other Quotations from Abraham Lincoln edited by Gabor S. Boritt. (4) Abe Lincoln Laughing: Humorous Anecdotes from Original Sources by and about Abraham Lincoln edited by P.M. Zall. It is the elephant in the room that nobody wants to talk about. Here Dan Mitchell takes it on. Most people have a vague understanding that America has a huge long-run fiscal problem. They’re right, though they probably don’t realize the seriousness of that looming crisis. Here’s what you need to know: America’s fiscal crisis is actually a spending crisis, and that spending crisis is driven by entitlements. More specifically, the vast majority of the problem is the result of Medicaid, Medicare, and Social Security, programs that are poorly designed and unsustainable. America needs to fix these programs…or eventually become another Greece. Fortunately, all of the problems can be solved, as these three videos demonstrate. The first video explains how to fix Medicaid. The Medicaid program imposes high costs while generating poor results. This Center for Freedom and Prosperity Foundation video explains how block grants, such as the one proposed by Congressman Paul Ryan, will save money and improve healthcare by giving states the freedom to innovate and compete. The second video shows how to fix Medicare. And the final video shows how to fix Social Security. Regular readers know I’m fairly gloomy about the future of liberty, but this is one area where there is a glimmer of hope. The Chairman of the House Budget Committee actually put together a plan that addresses the two biggest problems (Medicare and Medicaid) and the House of Representatives actually adopted the proposal. The Senate didn’t act, of course, and Obama would veto any good legislation anyhow, so I don’t want to be crazy optimistic. Depending on how things play out politically in the next six years, I’ll say there’s actually a 20 percent chance to save America. I love to read the works of Greg Koukl and I listen to his radio program often. This article below is actually from his radio program. There’s a reason both the Old and the New Testaments promote capital punishment. That reason was applicable then and still applies today. You see, the crime of murder is not principally based on the idea that you robbed a person of his life. That confuses the Fifth Commandment with the Seventh Commandment: “Thou shalt not steal.” It’s wrong to take someone else’s possessions, including his life. No, murder is not a crime of theft, but of destruction. We have destroyed the life of one made in the image of God . God says such a crime deserves the most extreme punishment. You take a life, you surrender your own life. By the way, read through the Old Testament and you’ll find 21 different offenses that called for the death penalty. Only three include an actual or potential capital offense by our current definition. Six are for religious offenses, ten are for various moral issues, and two relate to ceremonial issues. So if you’re going to call anybody frivolous about using capital punishment, you can start with God. God instituted it for a wide range of offenses, not just murder. But it included murder, and would certainly be justified, in God’s eyes, for someone who murdered 168 people. I’m not suggesting we reinstate capital punishment for the offenses of the Old Testament or even that capital punishment is obligatory. I am saying that it’s a moral alternative that is, at least in principle, totally approved by God. Actually, capital punishment is strongly assumed in the New Testament. In Romans 13, Paul argues that governing authorities are set there by God. He says, “If you do what is evil, be afraid, for the government does not bear the sword for nothing, for it is minister of God and avenger who brings wrath on the one who practices evil.” God ordains the governing authorities, and those governing authorities have a God-ordained responsibility to execute justice with the sword. Peter says in 1 Peter 2:13-14 that these authorities were sent by God for the punishment of evildoers and for the praise of those who do right. People say, “Well capital punishment is just revenge.” My response is they’re right in a sense. It is revenge. In fact, it’s just revenge. It’s God’s vengeance based on justice, executed through the machinery of government that God ordained. Paul uses the word “sword” here. I don’t think he had in mind paddling people with the broad side of the sword. No, capital punishment is in view here as a proper tool government would use to express the vengeance of God in a just fashion against gratuitous evil. That’s the biblical teaching. What about Jesus? Some say Jesus’ ethic of love and forgiveness requires us to end the death penalty. This was the appeal Mother Theresa made when Robert Alton Harris was facing the gas chamber here in California. She appealed to the governor saying Jesus would forgive. With no disrespect towards Mother Theresa, I think her comments were mistaken because her view simply proves too much. What should be done instead with capital criminals? Should we put them in prison for the rest of their lives? But Jesus would forgive. Should we put them in prison for ten years? But Jesus would forgive. Should we put a murderer in prison for one day? But Jesus would forgive. You see, if this argument works it becomes justification for the abolishment of any kind of punishment whatsoever. This argument proves too much. Further, that Jesus would forgive is a different issue from whether the governmentshould forgive. God can forgive evil. That doesn’t mean the government should forgive it in terms of its exercise of justice. In fact, Jesus never challenged the validity of the death penalty when He had perfect opportunity to do so. Even in John 8, with the woman caught in adultery, he never challenged the death penalty itself. He didn’t enforce it under what seemed to be an unjust situation because all the witnesses fled. Remember, Jesus said, “Is there no one here to condemn you? Then neither do I condemn you. Go and sin no more.” The Law required witnesses to convict someone. Jesus did not speak against the death penalty here. It was required by law. Jesus upheld the law. He just realized there was a nasty situation of injustice that was going on and so He found some other way to get around it. And when Jesus was on the cross He asked God to forgive, not Caesar. He never suggested that capital punishment was inappropriate. I think that we have to argue for the coherence and consistency of both Testaments on this issue. The question is not, “Was Jesus right or was Moses right?” The question is trying to find a way to bring them all together. Clearly, there was no abrogation of capital punishment in the New Testament. In fact, if you recall Paul in the book of Acts (25:11) made this appeal for his life: “If then I am a wrongdoer, and have committed anything worthy of death, I do not refuse to die; but if none of those things is true of which these men accuse me, no one can hand me over to them. I appeal to Caesar.” Paul didn’t take exception with capital punishment, even for himself. His point was that he wasn’t guilty, not that capital punishment was wrong. Which, by the way, brings us to another point that Mr. Jackson raised this morning on TV. He said Jesus was crucified. Jesus died at capital punishment. To which I respond, “So? What follows from that is…what? The significance of that is…what?” The answer is: nothing. The issue regarding Jesus was not capital punishment, but his innocence. In Acts 2, Peter condemns the act of handing over the innocentJesus to godless executioners. Now, God’s mercy is always available in God’s court. But man’s court is another matter, ladies and gentlemen. It is governed by different biblical responsibilities. So one can’t say that capital punishment is patently immoral on biblical grounds. It just isn’t. There’s a good reason why. It has to do with something I explained very carefully to the man who interviewed me for US New and World Report on this very issue. Capital punishment is important. The Bible–Old and New Testament–is for it, not against it. There is nothing in the New Testament that would give us any reason to think otherwise. In fact, it presumes capital punishment in many places. I was listening a couple of years ago to KABC and talk show host Michael Jackson. He was making the point that capital punishment never works. And of course, he’s thinking of it as a deterrent. My response is, capital punishment works every time. Every time it’s used, the prisoner dies. You see, the reason for capital punishment is obviously not to rehabilitate somebody. The deterrent may be a secondary factor. But that isn’t why we use capital punishment. We use capital punishment to punishsomeone (pardon me for stating the obvious). You see, all of this relates to your view of what human beings are. If human beings are machines determined either by genetics or by environment, then what do you do when a machine goes bad? You fix it. And if you can’t fix it, you throw it away. That’s the basis behind the rehabilitation idea. And of course, the throwaway mentality we see in a lot of other ethical areas. however, if you think that human beings are personal creatures capable of choosing and, therefore, have moral responsibilities–when they do good we praise them, (which everybody wants), and when they do bad we punish them–then punishment makes sense. Punishment of all kinds. Even capital punishment. Punishment may range from a parking ticket to death. What determines which punishment? An ancient principle called lex taliones , “an eye for an eye, and a tooth for a tooth”–the point being that the punishment must fit the crime. If somebody steals a loaf of bread, we don’t whack their arm off. By the same token, if somebody kills 168 people, we don’t just put him in a cage for the rest of his life. He took 168 human lives! He should be punished in a way that fits his crime. He should sacrifice his own life. That’s the basic question: What is a human being? I think he’s a free moral agent. If he is, then we should praise him when he does well. But if he doesn’t, then he deserves to be punished, and the punishment should fit the crime. Why raise taxes when you are trying to expand the economy? “Common sense told us that when you put a big tax on something, the people will produce less of it. 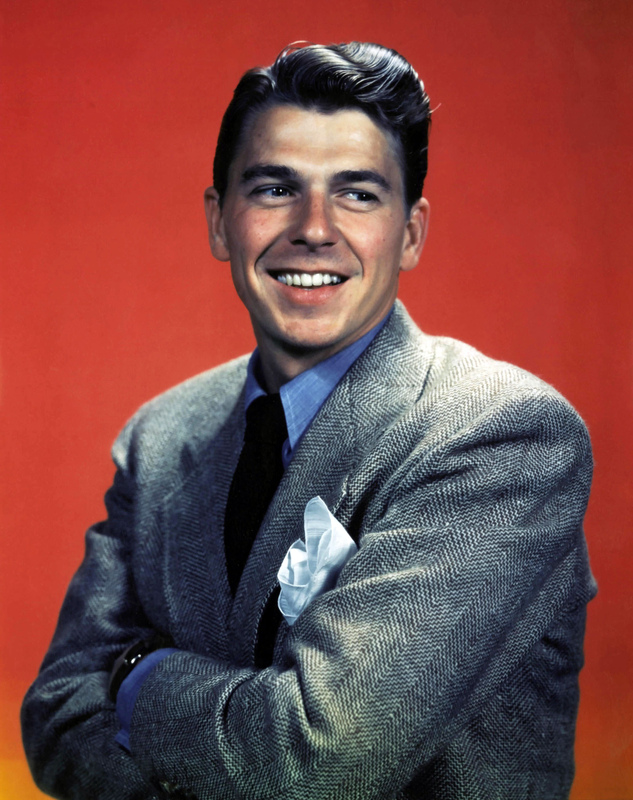 So, we cut the people’s tax rates, and the people produced more than ever before.”In Reagan’s farewell address he touted the historic tax cuts passed under his administration in 1981. While we all wrestle with the best solution for fiscal restraint, here is an article addressing the impact on the top taxpayers. Chris Conover, ContributorI explode myths that pervade health policy debates. The Congressional Budget Office (CBO) released its latest tax data this month. The report details who contributed how much to federal revenues in 2009. The figures raise the question: why do so many in this country seem so eager to berate the ‘one percent’ rather than thank them for their extraordinary contributions to federal coffers? According to the report, those in the top one percent had an average pre-tax income of $1,219,700 in 2009. Of this, they paid $353,000 federal taxes. Despite having earned 13.4 percent of the nation’s income, these individuals paid 38.7 percent of federal income taxes that year. To put it more starkly, this group makes less than 16 times as much as the average household but pays more than 40 times as much in federal income taxes. Consider a world without such individuals—a world in which we have so taxed and vilified the most prosperous Americans that they all elect to follow Denise Rich and foreswear their U.S. citizenship in search of greater economic freedom. French President François Hollande is already learning this the hard way, as many of his country’s wealthiest individuals pack up and leave as a result of his proposed tax hike on French millionaires. Indeed, the U.S. itself has seen an eightfold increase in the number of Americans abandoning their citizenship (most, apparently for tax-related reasons). Since U.S. lawmakers have yet to show any ability to curtailing their spending, Uncle Sam would be looking to the remaining 99 percent of taxpayers to make up what would be a massive gap in income tax revenues due to the sudden emigration of the top one percent. As a matter of simple arithmetic, everyone’s federal income taxes would have to go up by at least 63 percent to compensate for this lost revenue should the top earners depart. Such a gargantuan increase in taxes would rather substantially reduce work effort among the remaining 99 percent. The best evidence suggests that the economy loses 52 cents in output (lost work effort) for every dollar increase in individual income taxes. That means Congress would need to nearly double the rates for everyone else in order to cover the revenue gap. Moreover, there’s a major discrepancy between the one percent’s financial support of government and its consumption of the resulting services. If our population lost the top one percent, government could theoretically shrink spending on defense, courts, etc. by one percent to account for reduced need for services. However, since most federal payments for individuals are means-tested (ie. entitlement programs such as Medicaid and food stamps), loss of America’s top earners wouldn’t translate to a proportional reduction in these areas of the budget. And those payments accounted for more than 60 percent of federal spending in 2010. Of course, losing the top one percent would mean far more than the loss of hundreds of billions in tax revenue. According to Federal Reserve data, this group also accounts for 30 percent of philanthropic giving. Many in the top one percent are business owners who employ many workers. In fact, nearly two thirds of those making over half a million dollars a year personally bear the risks of owning a company on their own or with just a few other shareholders. And losing the top one percent would translate to the departure of nearly 200,000 physicians—something a nation facing a doctor shortage could ill afford. Like most Americans, I do not expect to enter the ranks of the top one percent (which in 2009 included one-person households with incomes exceeding $282,900, two-person households above $400,100, etc.). Perhaps I am totally deluded, lacking in class consciousness, or simply a victim of the Stockholm syndrome. But the way I look at it, I’m eminently grateful for those who have worked to attain this lofty status. I wish the current political elite felt the same way. What You Don’t Often Hear About Those ‘Greedy’ One Percenters is an excellent account of the work ethic within this group. 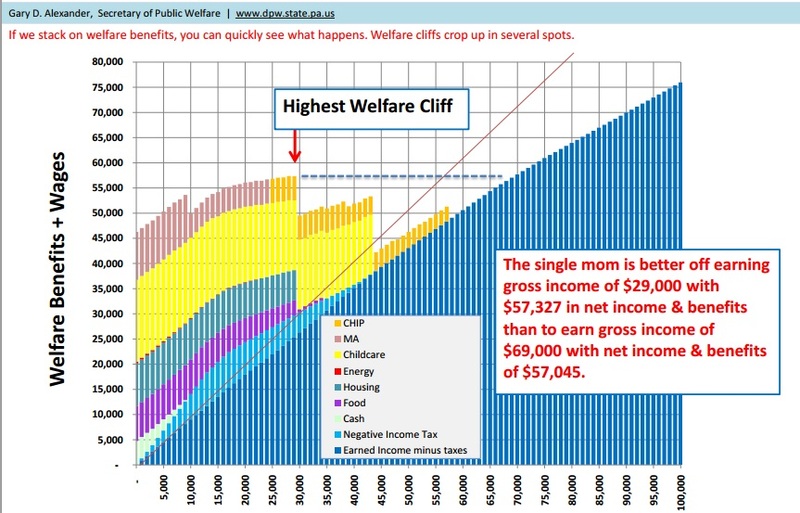 The best way to destroy the welfare trap is to put in Milton Friedman’s negative income tax. Needless to say, there’s not much reason to earn more income when living standards don’t improve. May as well stay home and good off rather than work hard and produce.